Please let me know if you have problems viewing this. We are trying to support as many platforms and browsers as possible. If you experience problems viewing this presentation, please post a reply or email me with the particulars. Like many of you, I connect to the internet via dial-up so please be patient as the slideshow loads. IHC 185... "We Are Limited Only By Our Imagination"
Thanks for taking the time to do that. I learned something. Namely, to back out the arbor and reset the collar before plunging the spring into the barrel. I haven't done that and wondered why the t-ends of my mainsprings always seem to spin out of the hole in the barrel. I seldom used my 128 because I thought it didn't work properly. Now I know, it was operator error!!! In using a 126 (robbins type) this isn't an issue since you have to remove the arbor to put the barrel over the spring. You have made the 128 a useful tool for me! Thank you again! Lindell, Wayne, Ed, John, Mike & Tom. Thank you for your kind and generous comments. I take comfort with the overwhelming encouragement and support received from so many members and guests. Chapter 185 is only six months young and look how far we've come. I'm looking forward to the next six months and beyond with excited optimism. things start flying around the room. Look forward to seeing more of your educational presentations. John, what a fantastic job. I think the slide show idea is the best one I've seen in years. Even though I've been using mainspring winders for years, I really enjoyed this presentation. Apparently, I received an extra collar with my winding arbors and the only use I could find for it was to secure the handle in both directions. Also, my arbors have handles that are a little longer than previous versions. 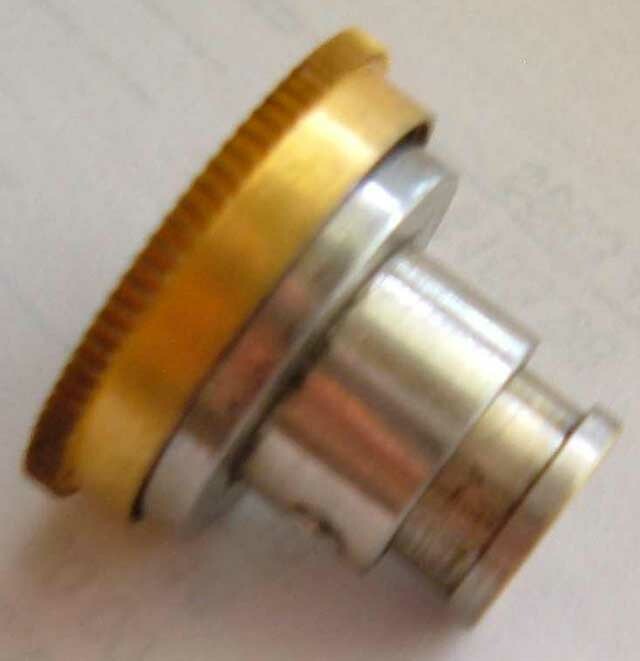 Anyway, the use of two collars will help prevent damaging the mainspring while winding. It is also important to use the correct diameter winding arbor so that the inner coil of the mainspring is not damaged. I'm happy the tutorial helped! I just received this K&D 128 in some tools I bought. This tutorial is exactly what I was looking for. Good Job!! I haven't studied the sizes yet, but I assume you can wind any spring from a small wristwatch to a pocket watch? Thanks! Wow it's been years since I touched a watch but I believe you can use it for at least 0 size and up. Great to see you posting here again. Thanks for all you did in the helping hands tutorials as they have helped me tremendously. Yes sir! Some of the best information on the net for new guys learning the watch business. I'm using K&D Winder as described in John Duval's tutorial, and everything works slick until I try to transfer the spring from the winder barrel to the mainspring barrel. According to the instruction I should be able to push the spring into the barrel with my fingers. This is not working for me. In fact I can't move the spring even with a lot of pressure. Wonder what I'm doing wrong, or if my winder barrel is defective. Anybody ever run into this problem? Are you using the other half of the winder tool do you have a photo of your set, there normally is a tube about 3” long and a knob on the end that presses the center of yours out. Also is your mainspring and tool clean? Sometime lightly lube the wall of the tool prior. I think my set is complete but I'm not sure about the tube you refer to. I've inspected everything to be sure it's clean and moving free and easy. I dont have this set to be able to photo it in use, maybe someone else can post a photo?? if I remeber correctly the loaded, "spring loader" should be still in the machine locked in with knurled knob into the locating hole and you should press/slide the crank to force out spring. I have this winder tool (not nearly as pretty). Like Chris said I keep the "spring barrel" (one transferring from) in the tool base. Then I gently take out the winding arbor and slide the back of the spring barrel forward with the mainspring barrel in front. HOLD THESE TOGETHER unless you want to see how messed up a mainspring can get. The base holds the collar of the spring barrel in place allowing you to slide the mainspring into the mainspring barrel. You are not really pressing it in so much as sliding the entire unit forward. I have noticed this happen in any arrangement in which the spring barrel bottoms out inside the mainspring barrel. The reason it is not working for you is that you are basically squeezing mainspring barrel and spring barrel together and not extracting / sliding the mainspring from the spring barrel into the mainspring barrel. The hardest part for me when doing this (since the spring barrel is much smaller than the mainspring barrel is that the mainspring tends to uncoil a turn inside the mainspring I have to try different things to get it set correctly. 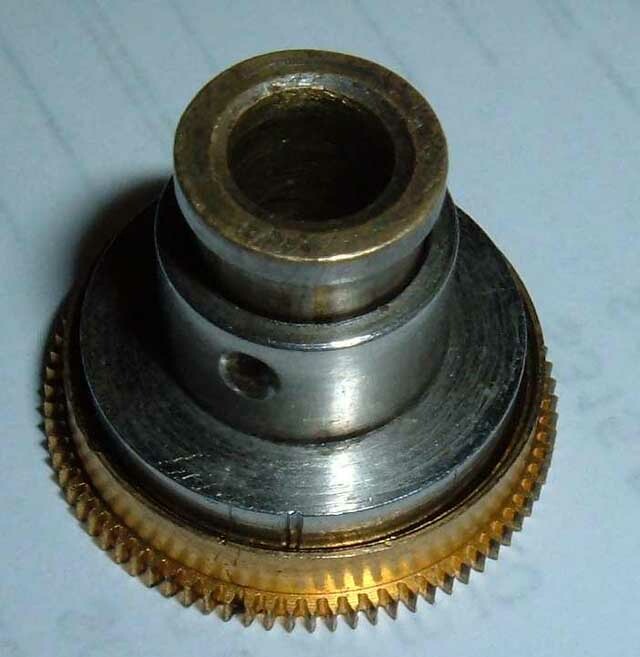 I have had one type of spring go in easier than others and that is because the bottom of the spring barrel bottomed out on the inner lip of the mainspring barrel (where the barrel cap would seat flush, so the spring barrel is just inside the mainspring barrel). In that case I could push on the back of the spring barrel with my thumb and use pressure with my index finger and the mainspring transfers smoothly into the mainspring barrel. In this case I was squeezing the two pieces together rather than sliding them. 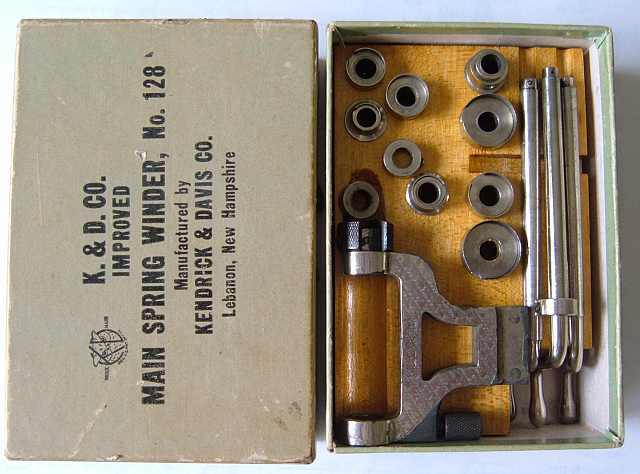 It usually worked better in aligning the mainspring tab to the slot as well.